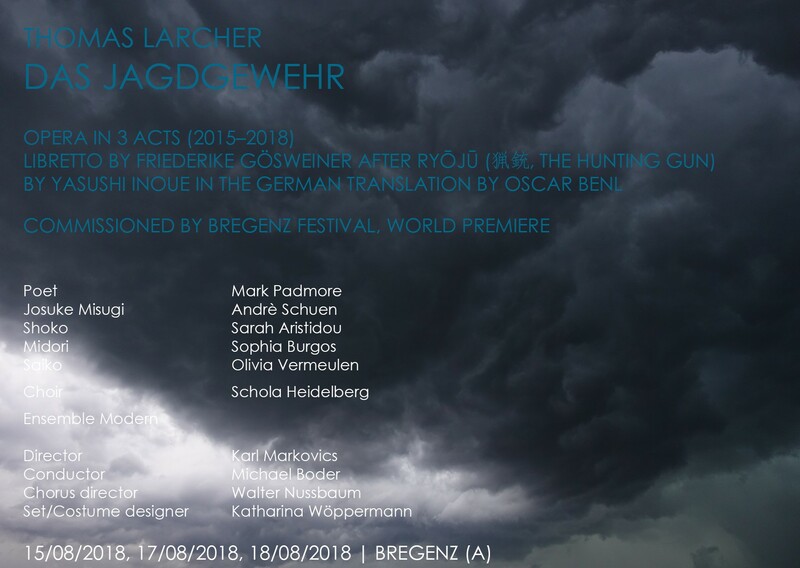 Composer Thomas Larcher’s first opera The Hunting Gun has its UK premiere, and Paul Lewis plays the world premiere of an Aldeburgh Festival commission. 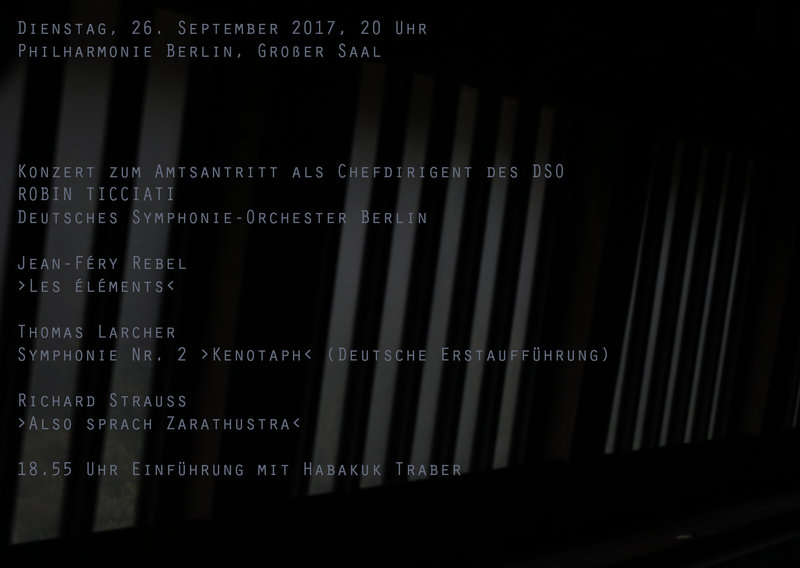 There are performances of Ouroboros by cellist Alisa Weilerstein and the CBSO, Red and Green by the BBC Symphony Orchestra, and the composer’s four string quartets. Tenor Mark Padmore brings a richer experience to song and opera in a series of Poetry and Music events with Dr Kate Kennedy, followed by performances with Roderick Williams, Andrew West and Julius Drake. Soprano and conductor Barbara Hannigan curates concerts in the final four days, performing with the Ludwig Orchestra from the Netherlands. She returns to one of her first major operatic roles, Stravinsky’s The Rake’s Progress, but this time as conductor rather than singer. Other works Hannigan will conducts and sing include Schoenberg’s Verklärte Nacht, Grisey’s Quatre chants pour franchir le seuil, Stravinsky’s Pulcinella, Gershwin’s Suite from Girl Crazy and Haydn’s Symphony No.49. 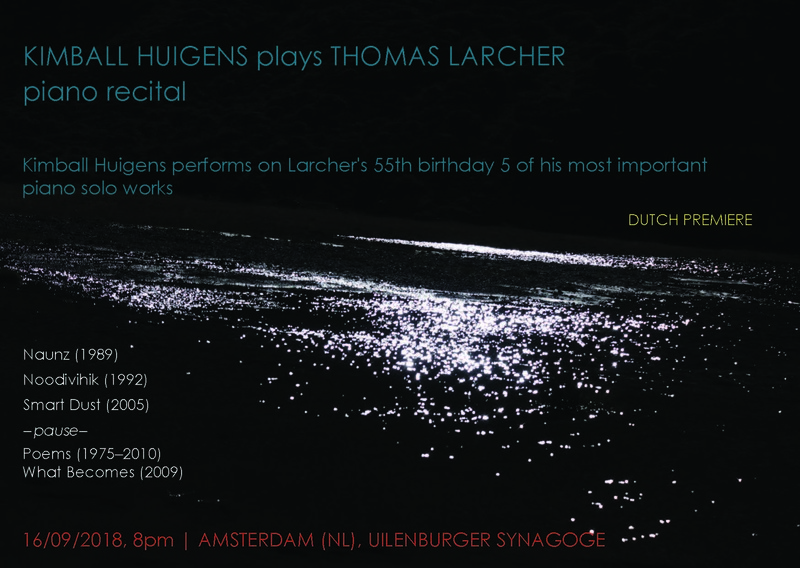 The Dutch premiere of piano music by Thomas Larcher. To celebrate the inauguration of the new Gewandhaus conductor Andris Nelsons and the 275th anniversary of the orchestra, the Gewandhausorchester will perform the world premiere of Thomas Larcher’s new orchestral work Chiasma in Leipzig on 15 March. The work was commissioned by the Gewandhausorchester especially for this occasion. Larcher challenged himself to compose a 10 minute piece containing the development of an entire world, which he describes as a ‘compressed microsymphony’. 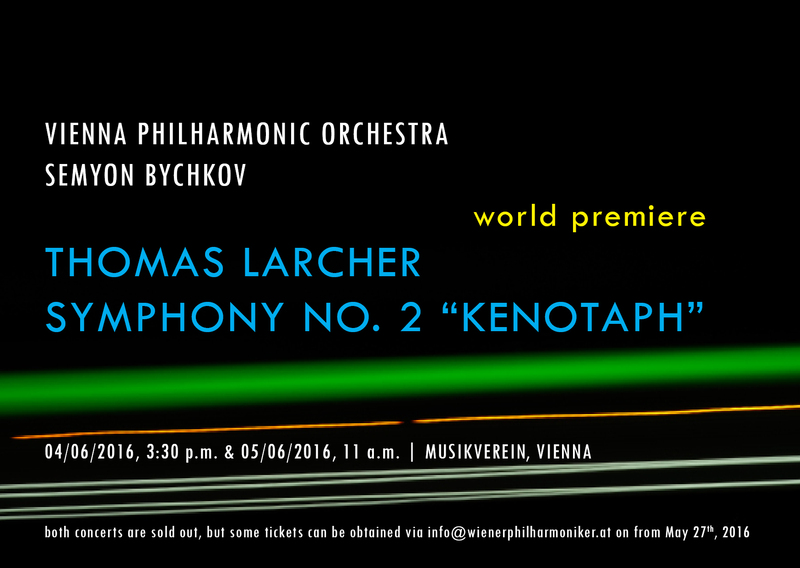 Within this ‘compressed microsymphony’, Larcher shows a world with tenderness, beauty, brutality and futility. “Der Tod und das Mädchen” Tanzstück by Stephan Thoss at Nationaltheater Mannheim, Germany. The Rebirth of Contemporary Classical Music? The Vienna Philharmonic Plays Larcher. The Chamber Music Society of Lincoln Center’s 2014–2015 Elise L. Stoeger Prize has been awarded to Austrian composer Thomas Larcher. The Stoeger Prize, a $25,000 cash award and the largest of its kind, is given every two years in recognition of significant contributions to the field of chamber music composition. The Chamber Music Society will present Larcher’s Mumien for Cello and Piano during the 2015–2016 season of its New Music. Previously, his composition Kraken for Piano, Violin, and Cello, was performed on the series in February 2014. 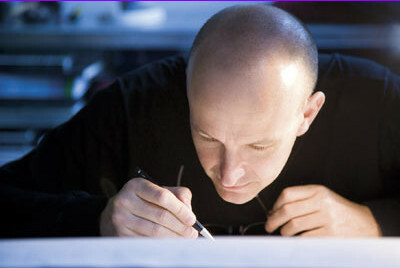 In the last few months Thomas Larcher has been working on commissions for several pieces due in the next seasons. A new work for baritone and orchestra (commissioned by Zaterdagmatinee Amsterdam, NSO Washington and Gewandhaus Leipzig) is underway. It will be premiered on April 11, 2015 at the Amsterdam Concertgebouw by Matthias Goerne (baritone), the Radio Filharmonish Orkest and Jaap van Zweden. The next major project will be the “Concerto for Orchestra”, commissioned by the Austrian National Bank on behalf of its second centennial. The premiere will be in June 2016 at the Vienna Musikverein featuring the Vienna Philharmonic Orchestra conducted by Semyon Bychkov. The 15/16 season will also see premieres of two pieces which will bring the composer back to the sources of his composing: a string quartet initiated by the Belcea quartet (premiere: December 2, 2015 in Grenoble) and a work for cello and chamber orchestra, initiated and commissioned by Amsterdam Sinfonietta with co-commissioners Swedish Chamber Orchestra, Lausanne Chamber Orchestra, Norwegian Chamber Orchestra and Munich Chamber Orchestra. The concerto will be premiered in Amsterdam on February 8, 2016. It’s been more than a month since “What Becomes” has been released. Several fantastic reviews have come up so far, among them in The Independet, The New York Times Classical Playlist, The San Francisco Examiner, BBC Music Magazine, Fono Forum. 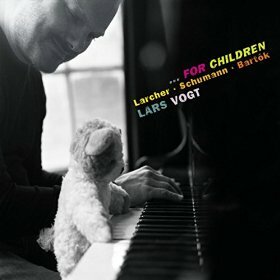 Thomas Larcher’s fourth and most recent recording What Becomes comprises three works for piano: Smart Dust (2005), Poems (2005–2010) and What Becomes (2009), as well as Larcher’s 20-minute song cycle, A Padmore Cycle, composed for tenor and piano. Set to short poems by Hans Aschenwald and Alois Hotschnig, Mark Padmore gave the UK première of A Padmore Cycle in 2011, and will give the world première of the orchestral version in London this November with the BBC Symphony Orchestra under Edward Gardner. The three pieces for piano, performed on this recording by Tamara Stefanovich, comprise a selection of works composed to elicit from the piano new sounds and means of expression that would turn it into a “different instrument”. In Smart Dust, composed for a piano completely prepared with rubber wedges and gaffer tape, which was premièred at the 2005 Lucerne Festival, Larcher wanted to return to the piano a sound with a sense of urgency. In contrast, when composing Poems, he was able to go back to the piano and rediscover its natural sound. Between these two works, What Becomes was written for Leif Ove Andsnes who premiered the piece accompanied by video projections by Robin Rhode in New York, prior to taking it on tour.